For more than 20 years, the Crosswater brand has been associated with quality bathroom solutions. Its new Essentials collection continues this strong tradition by presenting a range of modern and stylish products at an affordable price point. The latest designs are brought together to offer customers a top-to-bottom product offering that makes choosing a bathroom suite and fittings simple, without ever compromising on quality or function. From user-friendly sanitaryware solutions and brassware designs for bath, basin and shower, to those all-important finishing touches, Essentials combines everyday functionality with on-trend appeal to ensure that each product meets the demands of the modern bathroom. Smarter product design and efficient manufacturing processes conform to and exceed required British and European quality, performance, safety, sustainability and water-saving regulations. This dedication and confidence ensures that you can enjoy a genuine Crosswater experience at an approachable price point. Catering to the increase in demand for statement bathroom brassware, the new North collection is offered in a trend-led Matt Black finish. The range includes basin monobloc taps in three size options and a thermostatic bath / shower mixer with additional handset. A classic Chrome finish is also available. Simple lines and gently curved edges are brought together in the new Nova brassware collection. With practicality at its core, this simple yet modern selection of basin and bath taps is designed to complement the choice of Essentials sanitaryware. The new range of Kai towel warmers offers a suitable heat output for every bathroom size, from large family suites to small cloakrooms. 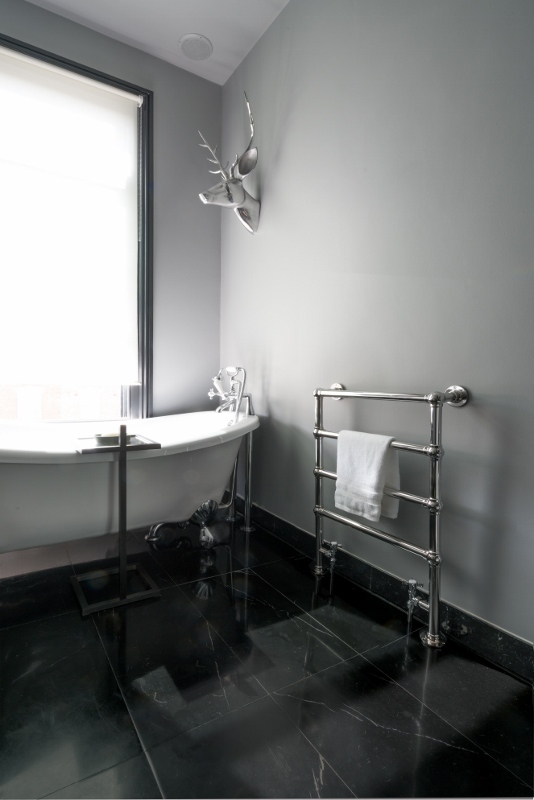 Choose from classic Chrome or contemporary Anthracite finishes across four width and height options to ensure your space is warm and your towels are toasty. A combination of style and function, Essentials toilets are all made in Europe to the same exacting standards. The new Kai S WCs come in a range of both close-coupled and back-to-wall designs, all complete with soft-close seats; the close-coupled option comes with an ‘Eco-flush’ function. Manufactured using the latest casting techniques, each Kai basin is produced in durable vitreous china and available in a range of designs and installation formats. Six new designs join the collection, including a compact corner style and smart inset option for pairing with a coordinating furniture unit. Crosswater is one of our recommended suppliers. To keep up to date with their news, click here. And, if you are interested in becoming one of our recommended suppliers, click here. 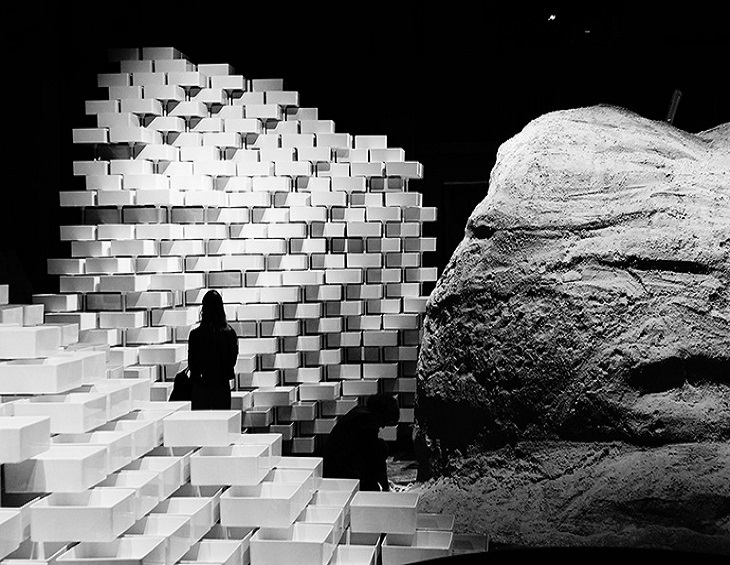 During the FuoriSalone 2019, Laufen has presented an installation by the visionary New York-based group Snarkitecture, a creative, original way of narrating the company, on the borderline between art and architecture. The location is Teatro Arsenale, in a building that dates back to 1272, at Carrobbio, inside the 5Vie district in the historical centre of Milan, now an avant-garde hotbed of cultural initiatives. At the entrance to the large space set aside for MATERIALMESSAGE, visitors have been immersed in a sort of canyon, whose walls face off in a dialogue of vivid contrasts: to the left, a mountain composed of 198 tons of raw clay, the same material that is stocked every day in the company’s warehouses, to become the basis of all manufacturing and to te right, a monumental three-dimensional construction composed of 701 Laufen washstands in SaphirKeramik. Walking through the ravine visitors were able to experience the extraordinary difference between the raw material, in an imposing grey mass, impressive in terms of weight and volume, and the finished industrial product, perfectly designed, always identical, bright white, ultra-light, with a very pure, smooth surface and amazingly limited thickness. To underline these contrasts, Snarkitecture designed a theatrical illuminated scenography with a dramatic passage leading to a secondary installation of two other important protagonists: a large vat of vibrant slip, a mixture of clay and water, representing the first passage of the process of ceramic workmanship, and a video projection that reproduces sequences, sounds and images of the manufacturing. MATERIALMESSAGE portrays the intrinsic power of a simple material like clay, capable of giving form to excellence when crafted in an impeccable way. The connecting link is the winning formula of Laufen, which blends knowledge, experience, technological innovation, design and fine workmanship. Laufen is one of our recommended suppliers. To keep up to date with their news, click here. And, if you are interested in becoming one of our recommended suppliers, click here. 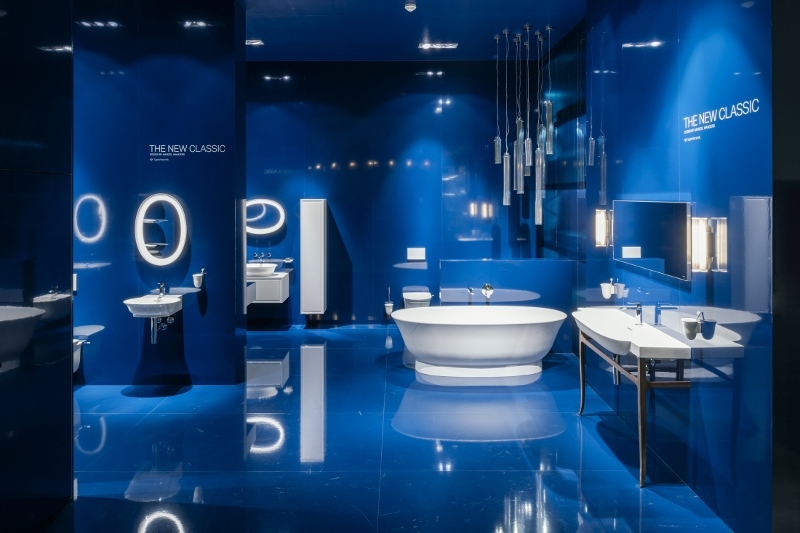 Duravit and sieger design present a complete bathroom range – Viu ceramics and XViu furniture plus matching bathtubs – which exudes forward-looking design. The post-industrial elegance of the pieces emerges from the interaction of soft, organic forms with a precise geometric detailed finished. A sharply defined contrast arises from surfaces that combine the finest ceramics, glass and metal with matt lacquers or high-quality woods. The new range includes the entire bathroom: the washing, bathing and toilet area. Significant design features and special details re-occur throughout and are the defining elements of the harmonious interior design. The highlight is a washing area based on the patented Duravit c-bonded technology. The exterior is a strict rectangle, while the interior features gentle organic curves with a spacious inner basin and generous shelf. The edge running along the tap platform continues creating an outer line. The subtle detail of the horizontal overflow within the basin underlines the horizontal alignment of the external shape. The ceramic on the inside is reminiscent of the softness of water. Some surprising details: The white ceramic cover of the push-open valve is flush with the inner basin in the open position. The prominent contour of the supporting metal console with its V-shape profile in elegant Champagne Matt or avant garde Black Matt creates dynamic interest. Uniquely individual combinations can be created thanks to the glass shelf which is available in four colours. From a different angle, the three-dimensional feet of the metal console are visually transformed into fine lines. This level of perfection extends to the smallest detail. The acrylic panelling on the underside of the basin conceals the fixing structure, cables, and connecting hoses, with the result that the elaborate technology, for example for the D.1e electronic tap, does not impact the design. Fully glazed from beneath, the Viu washbasins, available in five sizes, as well as a handrinse basin, are also ideally suited as individual solutions. Their shape follows the design of the c-bonded washbasin. The alternative variants for the washing area, with furniture washbasin, built-in washbasin, or above-counter washbasin and matching vanity unit with pull-out compartment or two drawers, feature striking V-shaped lateral aluminium profiles. These are also available in Champagne Matt and Black Matt and lends to the XViu furniture range’s striking contour. Tonal as well as contrasting options can produce different combinations. By using a variety of materials including a range of high-quality real-wood, lacquer and décor finishes you can create a wealth of stylish collections from “Silver” to “Dark”. Door variants in semi-transparent smoked glass are available for tall and semi-tall cabinets, which have technically correct subtle, smooth hinge straps for a soft opening and closing of the doors. The mirrors and the mirror cabinets with their fully-mirrored sides reflect the individual design language of XViu. The models fitted with a sensor switch offer dimmable lighting and the variant with icon control on the mirror surface, a first for mirror cabinets, also features the ambient light mode and colored light switching function: at a luminosity of more than 300 lux, the light color can be continuously adjusted from 2,700 (warm light) to 6,500 kelvin (cold light). Heating is available for all mirrors and a standard feature for icon variants. A further highlight of the XViu series is the free-standing bathtub, which creates an eye-catching centerpiece. Here, too, the prominent metal frame with the familiar V-shaped profile comes in Champagne Matt or Black Matt as a contrast to the high-gloss white acrylic. It supports the free-standing bathtub (two sizes: 160×80 cm and 180×80 cm), which is a precise rectangle when viewed from above. It has an ergonomic and organic free form interior, with a precise finish and perfect aesthetics. It subtly integrates the outlet, which underlines the sophisticated design. is a key feature of the toilet in the range. Metal push buttons positioned on the sides allow the removal of the seat cover, making cleaning easier. The technically-demanding realisation of the open flushing rim thanks to improved Rimless® technology ensures outstanding flushing performance. SensoWash Slim is available as an option for the toilet. The combination with the Duravit A2 electronic actuator plate and matching wall-mounted element provides operating comfort of the highest standard. The new D.1 and D.1z faucets, along with the electronic D.1e variant, perfectly match the design. The XViu bathroom programme is available in 34 finishes and combines well with the ceramic series VeroAir, ME by Starck and P3 Comforts. Viu ceramics can also be combined with the XSquare, L-Cube and Brioso furniture series. Duravit is one of our recommended suppliers. To keep up to date with their news, click here. And, if you are interested in becoming one of our recommended suppliers, click here. 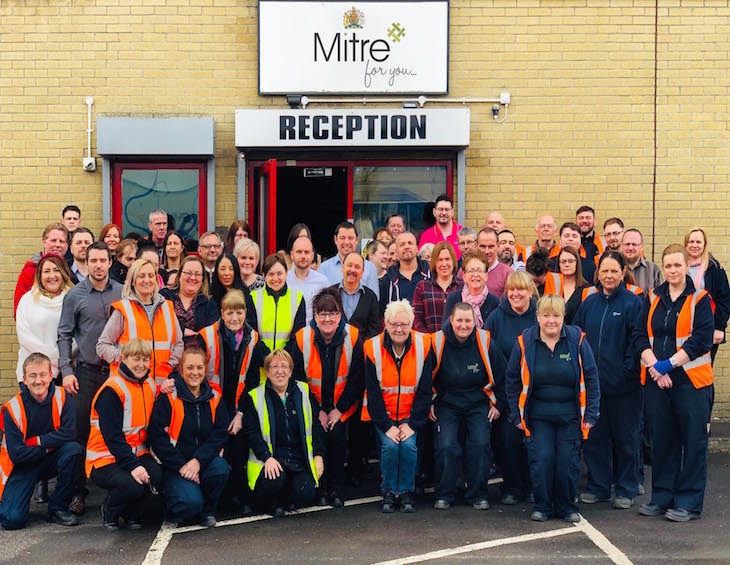 Mitre Linen, one of the country’s leading suppliers of bed linen, bedding, towelling products and soft furnishings to the hospitality industry in the UK and beyond, is delighted to announce it has once again been awarded Her Majesty The Queen’s Royal Warrant. Based in Merthyr Tydfil in South Wales, Mitre Linen has proudly held HM The Queen’s Royal Warrant since 1955. As Royal Warrants are reviewed every five years, this now confirms that Mitre Linen will hold the honour until 2025. The company has a reputation for quality and reliability, and supplies its extensive range of products to the hospitality, leisure, education, healthcare and laundry industries worldwide. By embracing innovation, Mitre Linen has remained at the forefront of design and product developments in the field of textiles for over 70 years. 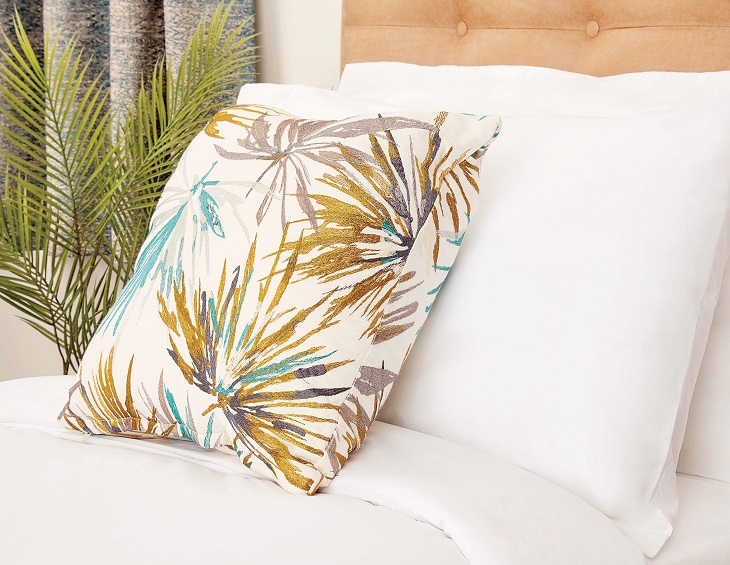 Recent developments have included the launch of its Eco range of bedding and towelling, made from ethically-produced, recycled and organic products. The company was established in 1946 in Wardrobe Place by St Paul’s Cathedral in the City of London. The name ‘Mitre’ comes from the elaborate headwear the bishop of the church wore. Mitre was first awarded a Royal Warrant in 1955. In 2000, the company relocated to Wales. In 2016, Mitre Linen was acquired by Nisbets Group. Incorporating a multi-colour looped yarn, Kielder by Sekers captures the essence of the heavy bouclé fabrics typical of the 1950’s but with a modern performance. Available in a palette of 20 multi-colour shades ranging from sophisticated earth-toned neutrals to zesty brights, Kielder is the perfect addition to any contract interior. Incorporating FibreGuard, an advanced finish that helps protect the fabric against spills and stains without having to resort to specialist cleaning, Kielder resists the toughest of stains, including red wine and ballpoint pen. Supplied with a crib five flame retardant backing and with a Martindale abrasion performance of 100,000 rubs, Kielder meets all relevant UK, US and IMO standards for upholstery. This textural semi plain is perfect for the most demanding upholstery application and the ideal choice for the commercial hospitality, leisure and marine markets. Laufen has developed new possibilities for its SaphirKeramik, one of the most exciting bathroom material innovations of recent years. This particularly slim-profile and robust material has revolutionised the conventions of bathroom design, kick-starting a trend towards a lighter styling with a more pronounced graphic aesthetic. Laufen is now working with the fourth generation of SaphirKeramik, showcasing in addition to its form and aesthetics some inspiring new possibilities for this material. Now that the Swiss bathroom brand has perfected the industrial process used to manufacture SaphirKeramik, it is able to offer new takes on the humble washbasin and even new applications for it, for example double washbasins in single-washbasin sizes, washbasin bowls with an integral overflow, or freestanding washbasins with a minimal footprint – new ideas that are simply unthinkable with conventional ceramic bathroom products. To implement its design ideas, Laufen works with internationally celebrated designers such as Marcel Wanders, Patricia Urquiola and Konstantin Grcic. The result? Stunning yet practical everyday products for the bathroom environment that offer designers and architects exciting new opportunities when it comes to creating high-end bathrooms. Laufen is building on the success of its shower toilets with a new version that focuses very much on the user benefits and concentrates on keeping the user interface as efficient as possible. It goes without saying that Laufen is also taking responsibility for the company’s impact on people and the environment, because the rational use of water and recycling wastewater are fundamental to our future and represent significant challenges and opportunities. To this end, the bathroom products manufacturer has begun a fruitful cooperation with EOOS to develop the Austrian design company’s revolutionary proposal for a new kind of waste-sorting WC (developed for the Bill & Melinda Gates Foundation) into a marketable product. At ISH, Laufen presented this ground-breaking innovation that is set to revolutionise the sanitary industry and relieve pressure on the existing wastewater infrastructure in fast-growing cities all over the world. Laufen has also formalised its responsibility for its use of resources and environmental impact in a new environmental product declaration (EPD). For this, the company has completed certification of the environmental quality of its complete ceramics range across all of its Central European manufacturing plants in accordance with ISO14025, EN15804 and EN16578. Laufen is also busy developing trendsetting new bathroom networking and digitalisation ideas. In this area, the bathroom specialist is focusing on public and semi-public sanitary areas, where networked concepts bring the greatest benefits. The company now offers a complete solution for networking electronic washbasin faucets and urinal and shower controls in public facilities. And when it comes to incorporating elegant and discreet digital functionality in private bathrooms, true to form, Laufen has successfully combined technology with aesthetics. In addition, the company has been working on improving and expanding its existing range, adding new products and new options in just about every area in its bid to offer bathroom designers more freedom and bathroom users superior benefits and greater choice. The New Classic is a new bathroom collection by Laufen. The celebrity designer Marcel Wanders was engaged to re-interpret classical styles using the material SaphirKeramik. Every item included in the ensemble brings together the designer’s flair and creativity with Laufen’s mastery of raw materials. The New Classic range encompasses washbasins, bowl washbasins, toilets, a bidet and bathtub, faucets, mirrors and accessories, as well as furniture. 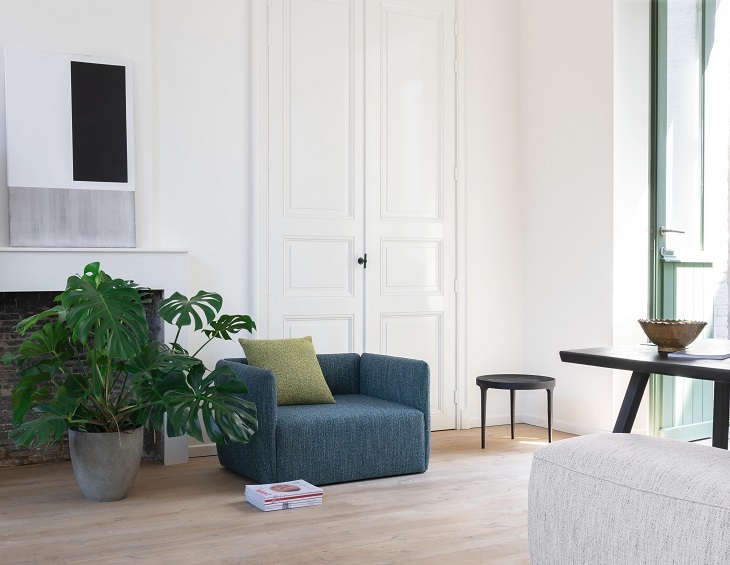 This individualistic collection won the iF Design Award 2019 for its sensual combination of aesthetics and function. The Cleanet Navia shower toilet focuses very much on user benefits and concentrates on keeping the user interface as efficient as possible. With its compact design, simple functions and attractive price, it is suitable for a very broad market. The Navia features the tried-and-tested intuitive operating concept, with a side-mounted controller for the standard functions plus an app to access the full functionality that Laufen previously developed for its popular Cleanet Riva shower toilet. When it originated Sonar, Laufen focused in particular on exploring the formal scope for new bathroom solutions afforded by SaphirKeramik. The expressive Sonar bathroom collection thus features novel washbasin designs that are simply not possible using conventional bathroom ceramics. Already the winner of an iF Design Award, the collection now offers even greater variety thanks to the addition of more washbasins, WCs, a bidet, a new bathtub and a suite of bathroom furniture, again created by Patricia Urquiola. 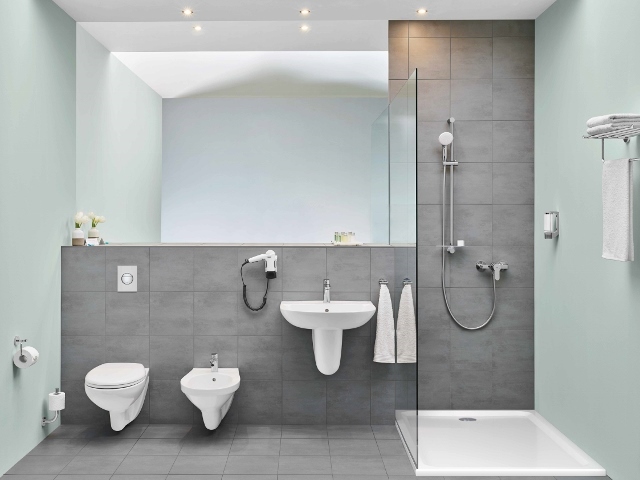 Compact and demanding bathrooms call for intelligent equipment solutions, to make best use of the restricted space without appearing cluttered. The new SaphirKeramik washbasins that Laufen co-developed with designer Konstantin Grcic for the Val bathroom collection take on this challenge in a new and innovative way, concentrating particularly on compact and demanding bathroom layouts. A 1970s revival is currently sweeping the fashion and furnishing markets – and entering the bathroom as well. But nobody is calling for a renaissance of the harsh colour schemes and frenzied contours that defined the decade – it took many years to rid the world of the final excesses of taste that flourished back then. The modular colour concept and timeless, simple design vocabulary of Kartell by Laufen represents a modern approach to bringing colour into the bathroom while observing the enduring principles of good taste. And with new options available, the possibilities of expression offered by this popular bathroom collection are now greater than ever. Palace is a timelessly elegant bathroom classic for hotels and architect-designed bathrooms. The collection already enjoys an excellent reputation for problem-solving, flexibility and practicality, and Laufen is consolidating this reputation with the new pre-packed products. These new products include the Palace Slim Packs, comprising a washbasin and vanity unit, and the Palace WC Packs, which bundle every component required for installation in one handy packaged unit. 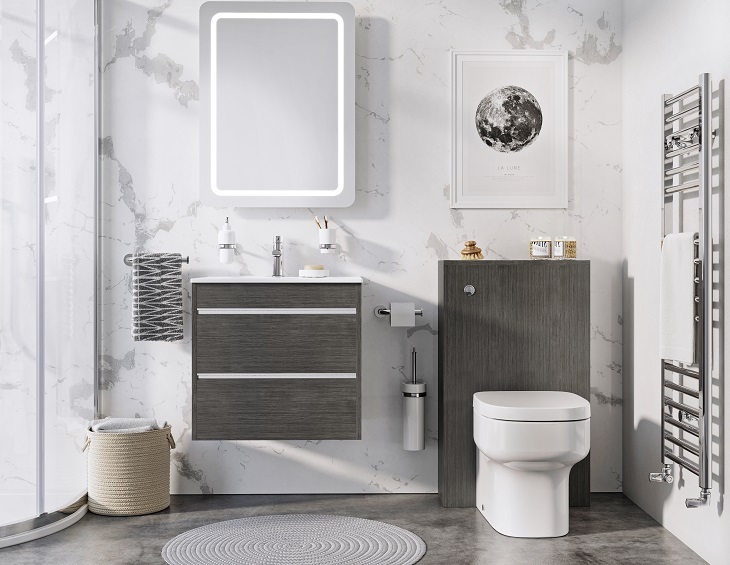 Laufen has extended its popular Base bathroom furniture range, bringing out new vanity units for the Ino washbasin collection. The now more extensive furniture range is timelessly simple and graceful. The collection features Laufen’s trademark attention to detail in carefully thought-through functionality, high-quality materials and an up-to-the-minute colour scheme. 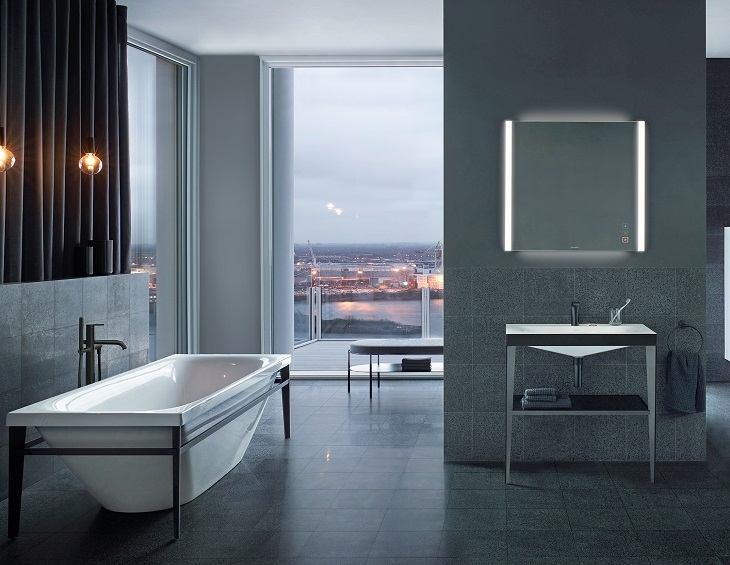 With Leelo, Laufen has added to its existing mirror offer to create a flexible collection of mirrors that bring comfort and light into the bathroom. Leelo features a range of sizes and versions, each of which matches individually with a variety of bathroom designs and ambiances. Because of its understated styling, Leelo can be combined with all of Laufen’s bathroom series and bathroom furniture ranges. In his creations for the new faucet line The New Classic, Marcel Wanders finds the perfect balance between an innovative design and an archetype for a cosmopolitan and diverse lifestyle – and takes the bathroom user on a journey to a bygone age. This versatile and technologically advanced range comfortably covers every bathroom requirement. A confident and gracious silhouette is the dominant design feature of the new Laufen Sense bathroom faucet line. With its extremely precise design vocabulary, the complete faucet range cuts an impressive figure, both in the private residential property and in the premium hotel and hospitality sectors. The Austrian design studio EOOS, Eawag (the Swiss Institute of Aquatic Science and Technology) and Laufen have joined forces to develop the ground breaking Save! urine-separating WC that is set to revolutionise the user interface in sustainable urban water management thanks to a new kind of passive separation technique. The Save! waste-separating WC is the next step in a concept developed by EOOS and Eawag with the support of the Bill & Melinda Gates Foundation as part of the ‘Reinvent the Toilet Challenge’. Laufen’s Advanced Control concept improves hygiene, reduces response times, enhances services and decreases water and energy consumption, thus saving costs in public and semi-public washrooms. Starting from summer 2019, a cloud solution that networks smart washrooms and transfers data to building management systems will also be available. Specially developed tailored products feature precisely the sort of special sophistication in design and functionality that gives high-end interiors their unmistakeably individual character. This is why Laufen has been busy developing its know-how and production capacity to be able to provide bespoke solutions in the bathroom too. To this end, the company works closely with designers and architects all over the world who are looking for a customer-tailored solution for a building project. The most recent example of this is Omniturm in Frankfurt am Main, for which Laufen worked closely with the architects and project managers to develop special bespoke vanity units. Laufen’s new products and innovations were showcased on its spectacular stand in Hall 3.1, Stand B51, for which the company has employed the talents of internationally renowned Swiss architects Andreas Fuhrimann and Gabrielle Hächler. 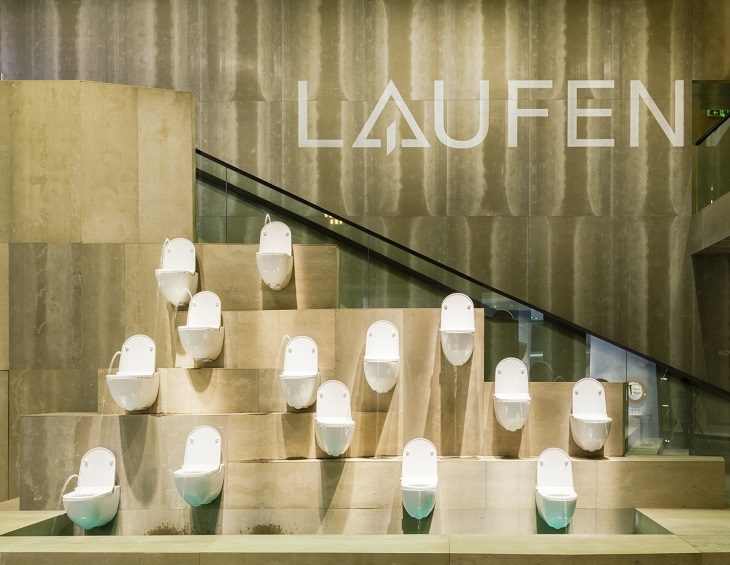 The two architects have been instrumental in creating a stand that reflects the roots of the Swiss brand while making it clear from the moment one sets foot inside that Laufen is one of the most influential bathroom fixtures and fittings companies in the world. 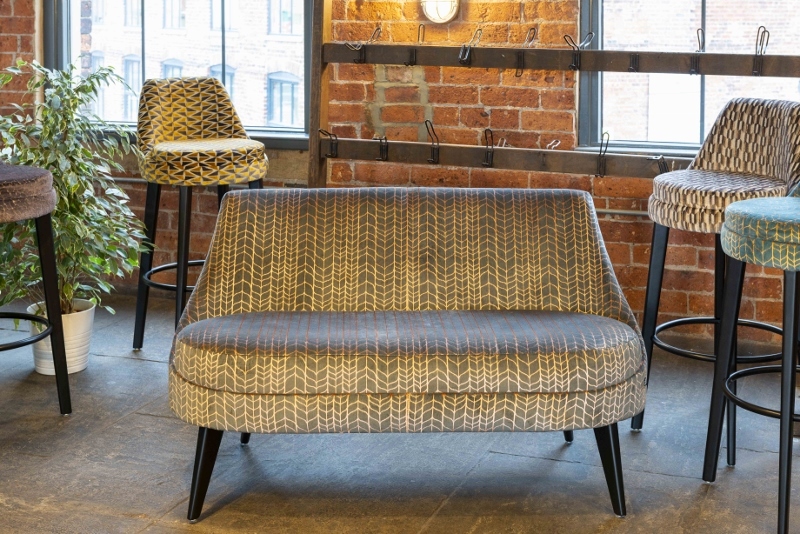 Soft, meandering upholstery fabrics with a subtle vintage look and elegant decorative feel, Amaze is the most recent upholstery quality to join the Skopos portfolio. 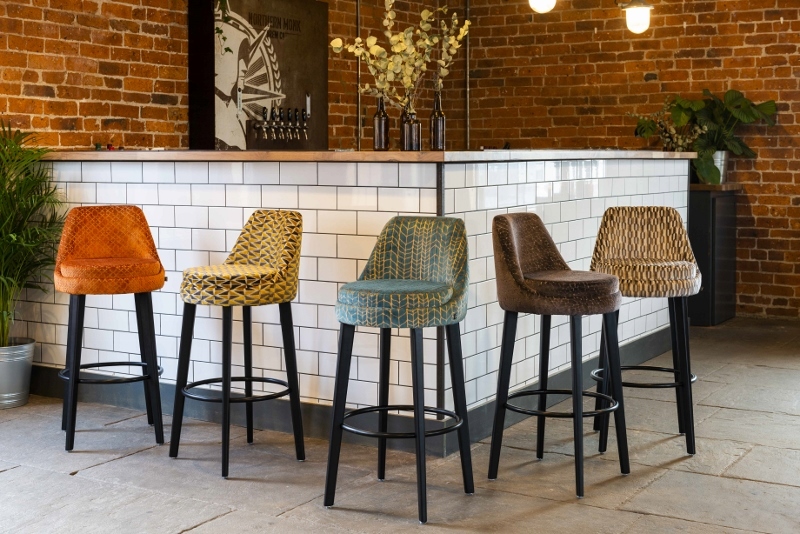 Aimed at hospitality and leisure interiors, the collection adds a simple decorative finishing touch, without being too elaborate or ostentatious. The collection of 22 SKUs is produced using tactile chenille yarns, with a ‘maze’ design textured relief twist. The palette is a sophisticated mix of heritage colours. Amaze (pictured) has been specifically designed for contract furniture and is back-coated to Crib 5 (BS5852) and achieves IMO standards, ensuring its suitability for marine and all contract environments. Amaze achieves 100,000+ Martindale rubs, providing longevity in high traffic areas, meeting the needs for severe contract. 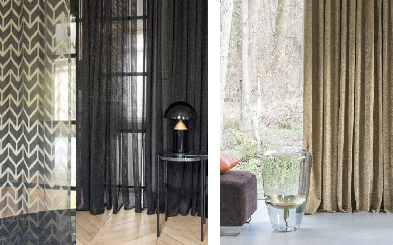 With more than 45 years’ specialist experience, Skopos provide high-quality flame retardant fabrics and soft furnishings to the contract market. Defining the signature styles of many flagship hotels and cruise-liners, Skopos are dedicated to design, service and best performance. 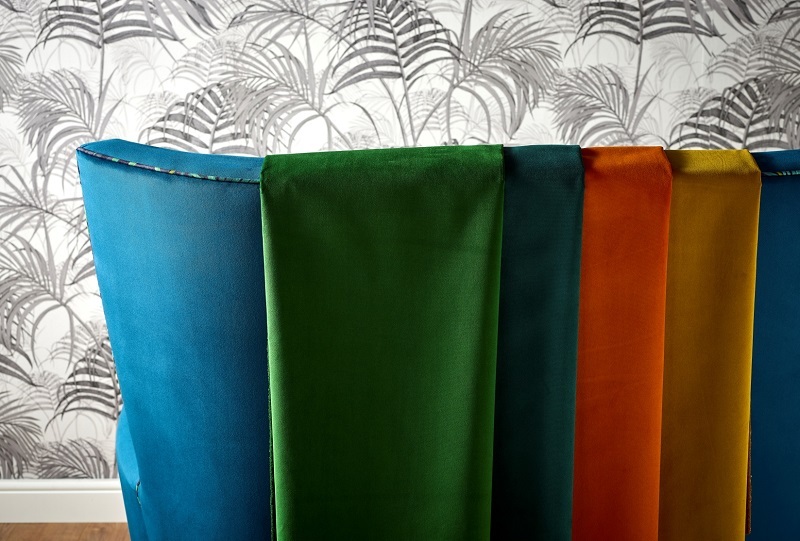 Our full service or fabric only option provides choice for our customers, with expertise in design, make-up (curtains, cushions and bedding), fitting and installation. Our Bespoke design and colour matching service provide the opportunity to create unique solutions. The Amaze collection officially launches in Spring, with samples available immediately. Skopos is one of our recommended suppliers. To keep up to date with their news, click here. And, if you are interested in becoming one of our recommended suppliers, click here. Since the 1960s, Pantone has been influencing creatives who rely on its standardised colour reproduction system for design and print continuity, consistency and inspiration. Every year it unveils a new Pantone Colour of the Year to reflect a new season of trends and influences that will fire the imagination of product developers and purchasers, designers and retailers; in 2019 that task falls to the incoming Colour of the Year: Pantone 16-1546 Living Coral. Described by Pantone as ‘sociable and spirited…the fusion of modern life…a lively presence’, Living Coral looks set to make a rapturous impact on the work of the signage industry’s more ingenious manufacturers – and that means energised workspaces, invigorated teams and an altogether happier working environment. This isn’t just marketing parlance; according to Pantone, there’s a psychological connection to be had with Living Coral and it could just be the game changer that business owners are looking for if the wellbeing and productivity of their workforces need a lift. The Pantone Colour Institute is the unit that forecasts global colour trends and advises companies on product and brand visual identity colour palettes to leverage the power of colour – so it knows a thing or two about emotional responses to colour. Translate that to a workplace or hotel environment and Living Coral’s flamboyant, lively and effervescent shade will mesmerise the mind and create an aura of confidence, energy and positivity. 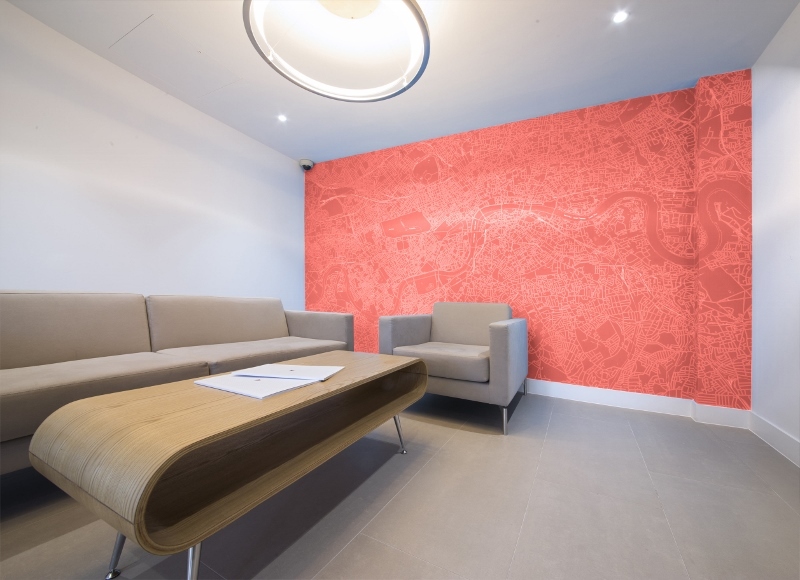 Consider the impact of Living Coral’s hue on branding, wayfinding, environmental graphics and glass manifestation, for example, and it’s easy to see how powerful an interior design scheme can be as a motivating force. It’s a colour that encourages communication too, so expect to see leadership spirits fired and employees galvanised. Never underestimate the power of colour to create an emotional relationship with a brand and its physical space. With the capacity to affect us physically, intellectually and emotionally, colour is a critical component when it comes to applying a brand identity and an interior workplace scheme that reflects it. Take digital wallpaper. It can be a big, bold and exciting step that can transform your office vista. But, don’t just choose a show-stopping image to project across your walls and place your order; consider first how your colour palette will influence your team, your partners and clients – the decisions they make and activities they undertake can have a serious effect on your business. Set them up for success with a colour that suits your environment, your market sector and the mood you want to induce. Take Living Coral. It’s comprised of red, yellow and orange – colours that can increase workplace productivity and inspire workforce wellbeing. What’s not to love? Red is a physical colour that represents courage, strength and excitement – a great colour to use in work areas that demand physical exertion. Yellow is an emotional colour that represents creativity, friendliness, optimism and confidence. Incorporate it when you want to stimulate positivity, creativity and happiness. Orange blends the physicality of red with the emotion of yellow to create a sense of comfort and nurturing. So, when you’ve assessed the impact that colours like Living Coral can have on the human body and its emotional relationships with space, you can apply it to the most appropriate areas. Living Coral can inspire transformative change in areas where creativity or physical activity needs an added stimulus – think design studios and gyms, for example. Since it also stimulates socialisation, it could work wonders in hotel and leisure environments – places where you want your clients to linger for longer and spend more perhaps. If you want more advice on how to use colour to energise, inspire or motivate, talk to Signbox about impactful environmental graphic solutions on +44 (0)1784 438688, click here for our electronic brochure or send us your requirements. If you’d like guidance on what architectural signs or graphics will help your organisation perform better, an on-site consultation will give you the answers you seek. Signbox is one of our recommended suppliers. To keep up to date with their news, click here. And, if you are interested in becoming one of our recommended suppliers, click here. Anthology has presented volume 06, a stunning collection of wallcoverings inspired by industrial spaces, fabricated walls and the trend for polished natural and man-made surfaces, apposed with soft colours and delicate, feminine accents. Innovative production techniques have been used throughout with the Anthology studio contrasting plaster, concrete, burnished and hammered metals alongside polished, raw and aged facades. 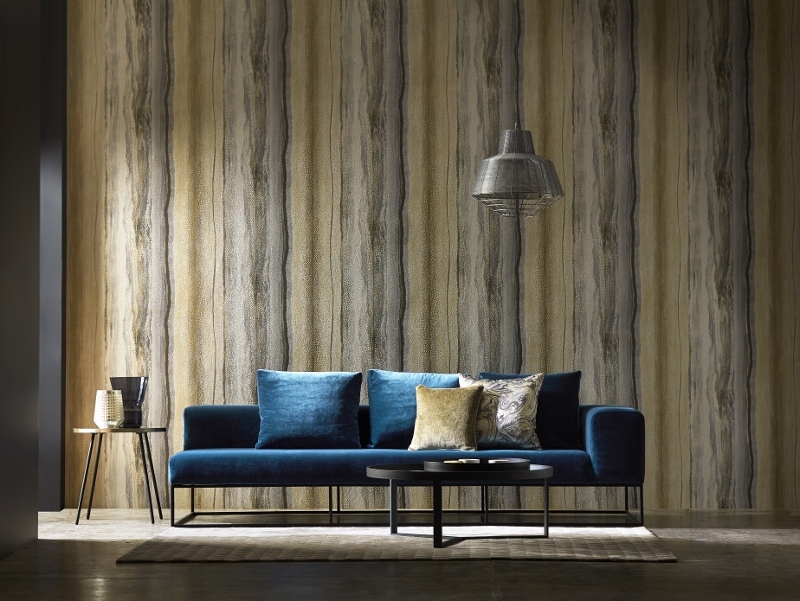 Oozing international glamour, Anthology Wallcoverings 06 comprises of eight wallcoverings, manufactured using the most technically advanced machines and state of the art production methods. Embosses and embellishments add a luxurious textural detail to this eye-catching collection which works in harmony with Anthology’s range of fabrics. A wide array of colours has been used across the collection with names such as Limestone, Pumice, Ruby, Gold, Aventurine and Quartz chosen to reflect how minerals and natural surfaces contrast and complement with the metal ores and precious stones found in mined materials that shape our environment and habitats. Continuing with the collection theme, Anthology’s design names include Anthropic, which represents the interaction of man in the making of fabricated surfaces and the impact time has on materials, Metamorphosis, emulating the geological changes impacting on rock and stone and Pozzolana, one of the constituent parts of plaster and concrete. Bisque, the UK’s first ever luxury radiator brand, has introduced three spectacular new finishes to its immensely popular Arteplano collection for 2019. 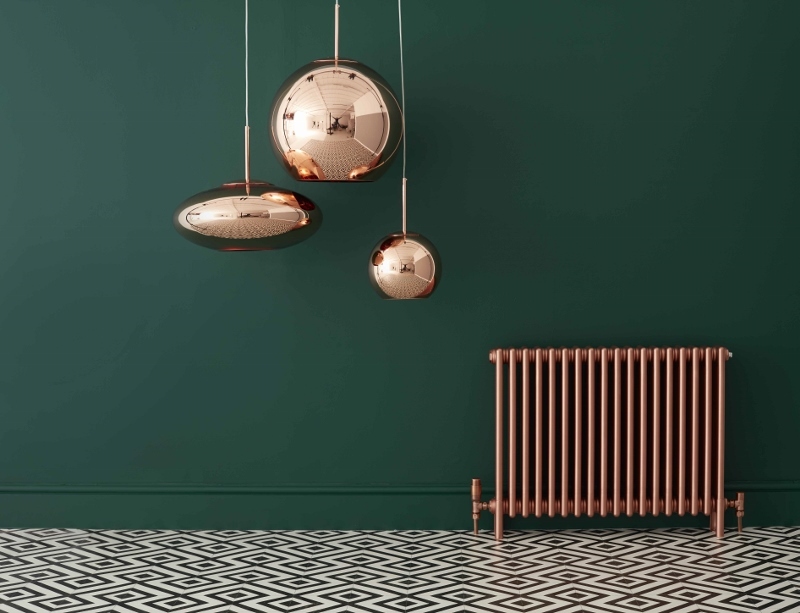 As a brand widely known for its striking feature radiators, these new styles will be a welcome addition for discerning homeowners and architects alike. The trend for copper accessories remains as popular as ever, and now you can unleash your inner interior designer with Bisque’s innovative Brushed Bronze finish. This new aesthetic is the perfect addition for modern homes with its simple, yet striking finish, complementing contemporary interiors. Meanwhile, moody and dark hues continue to lead the way in home décor. Be bold with Bisque’s new Brushed Black finish. 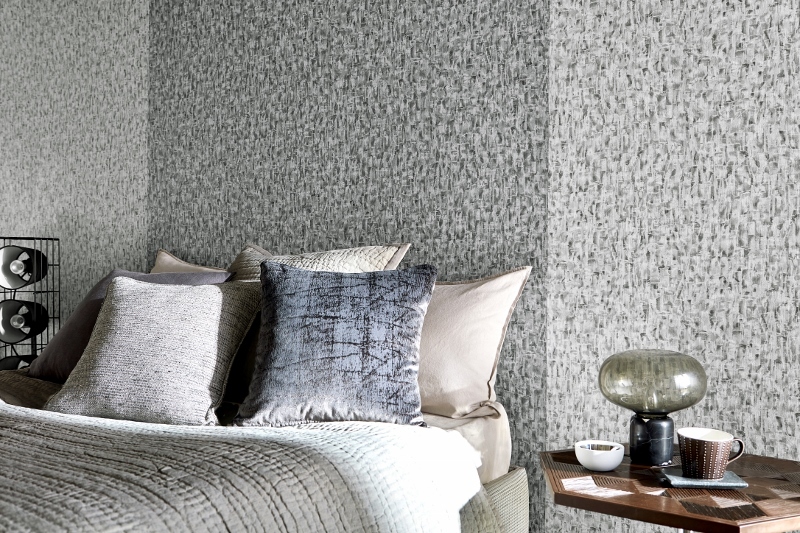 This head-turning texture adds a touch of luxury to any space, whilst the matt finish softens its harsh colouring, allowing it to suit most homes. If you’re looking for the ultimate style statement, look no further than Bisque’s Mirror finish. 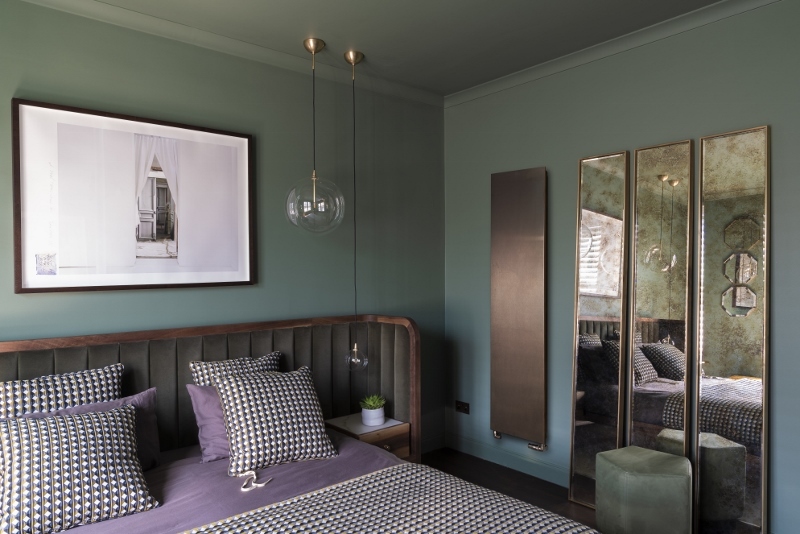 Taking centre stage in any space with its crisp and minimal design, this radiator can double as a mirror, and is a welcome addition to bedrooms, living rooms and hallways. Depending on the finish, the Arteplano can be delightfully daring or discreetly subtle. The Arteplano can also be made to order when only an exact size will do. 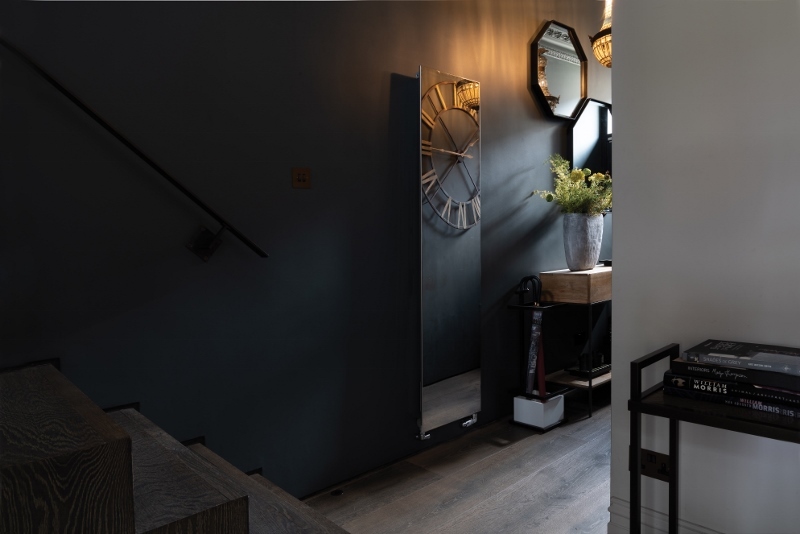 All orders can be placed at Bisque’s newly opened showroom within the Business Design Centre, Islington, on the edge of the vibrant design district of Clerkenwell, where Bisque’s team of experts are on hand to advise every step of the way. All prices on application. Further information can be found by visiting www.bisque.co.uk. BISQUE is one of our recommended suppliers. To keep up to date with their news, click here. And, if you are interested in becoming one of our recommended suppliers, click here. Pioneering designer radiator brand Bisque has, for the last four decades, represented the pinnacle of cutting-edge, contemporary design; however, for the first time, the luxury firm has announced its inaugural range of traditional towel radiators for use in classic bathroom designs. The collection – comprising the Buckingham, Osbourne and Balmoral models – has been carefully designed with a timeless aesthetic in mind, without compromising on performance or output. To start, the Buckingham (pictured above) is a transitional wall-mounted design, as suitable for modern bathrooms as it is traditional rooms. It is made from chromed brass, and can be used on both central heating and hot water systems, further adding to its flexibility. Customers will recognise the customary ball joints, more commonly found on older radiators, but this time benefitting from Bisque’s class-leading heating technology. Customers can also choose from three deluxe finishes – bright nickel, brass and antique bronze – alongside a further six finishes in Bisque’s repertoire. Next up, the Osbourne is a floor-mounted model, similar in style to its sister radiator, the Balmoral. Offering plenty of space for luxurious towels, it is an equally stylish option for industrial-style homes and loft bathrooms thanks to its antique look. Finally, the Victorian-style Balmoral is best suited for vintage-inspired interiors. It not only heats the space, but keeps towels crisp and dry thanks to a large, roomy hanging rail to store even the plumpest of linens. Once again, the Balmoral features recognisable ball joints and is available in Bisque’s gorgeous selection of colourways. 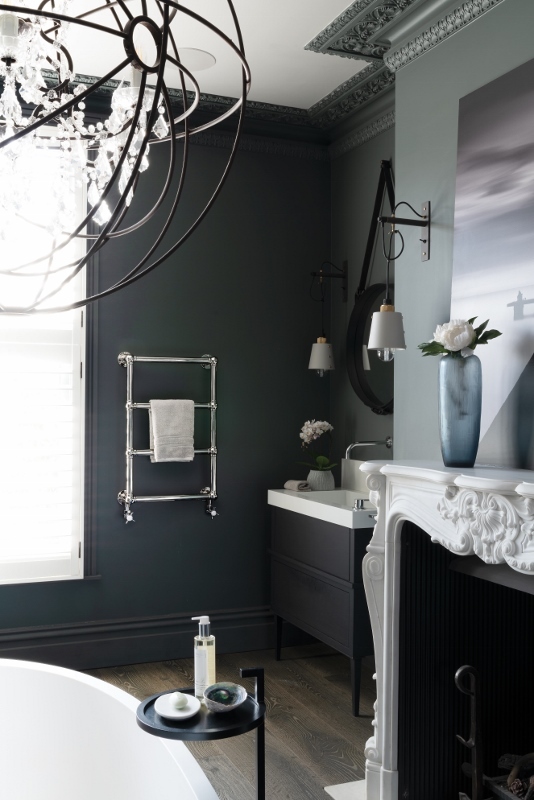 The three new designs mark a real turning point for the brand and present customers with a luxury towel radiator which matches style for substance. Being Bisque, innovation and performance is at the forefront of the new collection; while the new designs may look ‘traditional’, there’s nothing old-fashioned about their performance. Bisque uses only the very best materials available to ensure all three designs offer customers an impressive output, and a radiator that will stand the test of time. Meanwhile, Bisque continues to offer the widest selection of designer radiators on the market, from school-style models to eco-friendly options, not to mention its made-to-measure or colour-matching service. Appropriately named La Feria, after the annual local festival in Spain and southern France which is characterised by bullfights, bull running in the streets, bodegas, Skopos’ new collection brings a dramatic carnival feel to contract upholstery. 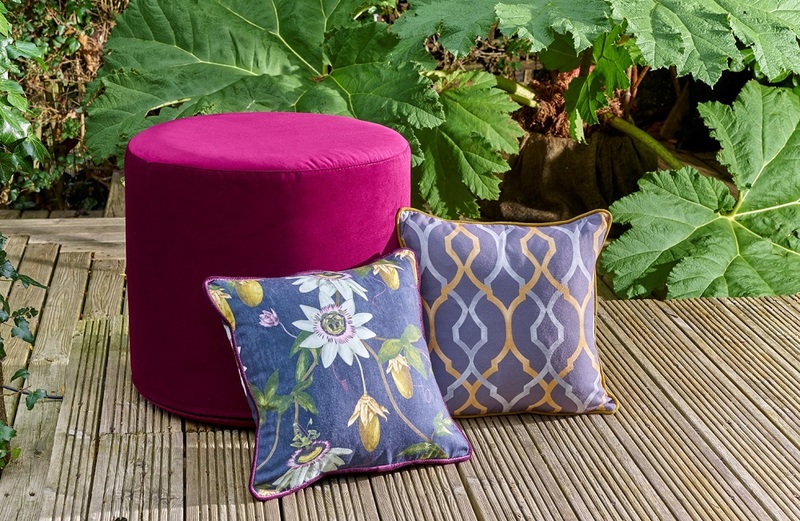 A collection of unique FR velvet designs, La Feria incorporates five elegant new designs, involving different combinations of expressive colour and elegant soft neutrals. La Feria achieves the high standards required for cruise, hospitality and leisure contract interiors. Designs include Cadiz, an organic feather/herringbone design with an exquisite metallic outline and Cordoba, a soft textured pebble design; a multi-coloured chevron; a diamond; and an exotic tile. The collection comes with Crib5 backing as standard and a soft, luxurious pile. La Feria achieves 40,000+ Martindale rubs, meeting the needs for severe contract fabrics. Samples of the collection are available now. View the La Feria designs on the Skopos website. The cashback offer that GROHE has recently announced runs across eighteen different model specifications of GROHE’s one box SmartControl Shower systems, including exposed, concealed, excealed and Euphoria styles with choices of round and square trims and shower heads to ensure a perfect match to existing decor. The extensive range of SmartControl models and specifications can be found on the website or alternatively, GROHE offer an online configurator tool where customers follow various steps, selecting their preferred style or requirements to find the perfect model to suit their bathroom or project. You can visit GROHE’s online SmartControl configurator. – Exposed – The original SmartControl shower system, which is wall mounted and comes complete with head and hand shower. Multiple spray patterns can also easily be switched between, delivering a shower perfectly tailored to your mood. Ideal for retrofit. – Concealed – All of the SmartControl technology but with none of the pipework on display. The concealed version is a great way to achieve a minimalist look in the bathroom or create more space in your shower area. Concealed showering also offers more personalisation of the individual space in terms of layout. The freedom to create a truly bespoke shower space is enabled thanks to the concealed valve being able to be placed on an opposing wall away from the outlet. 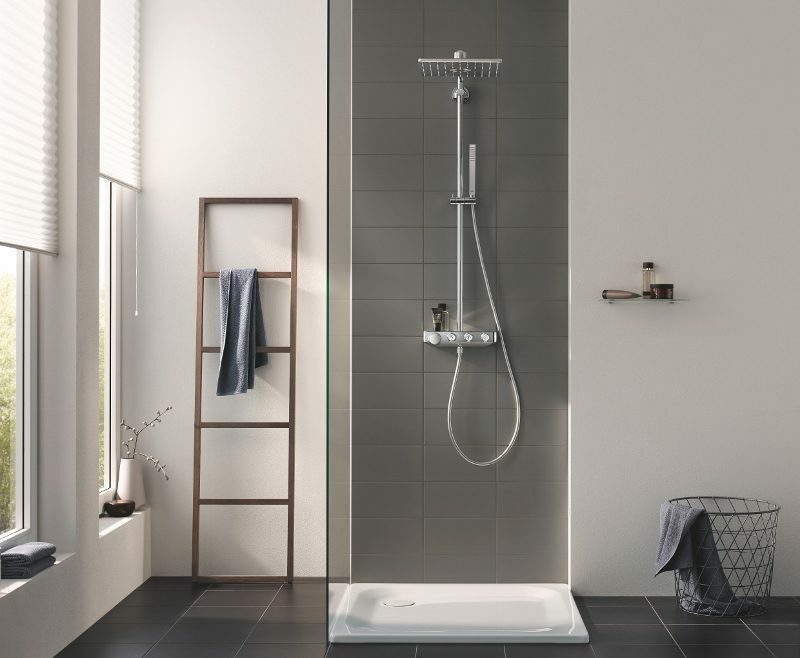 – Excealed – Excealed offers the best of both worlds, with an exposed thermostat still on display but reduced pipework thanks to the wall-fixed head shower meaning a riser rail is unnecessary. Both head and hand shower offer a choice of two spray patterns. – Euphoria – The latest addition to the range is an excellent choice for retrofit projects. With a traditional exposed frame on display, it has a slimmer interface, creating an illusion of more space in the bathroom. Euphoria offers a multi-jet shower head with up to three shower patterns plus the additional hand shower for more personalisation than ever before. The cashback offer is available on qualifying SmartControl purchases from a verified retailer and consumers can make their claim directly through the GROHE website, www.grohe.co.uk. The offer applies to purchases made from January 1, 2019 until the May 31, 2019, with all claims to be made by June 30, 2019. Proof of purchase is required. Terms and conditions apply. 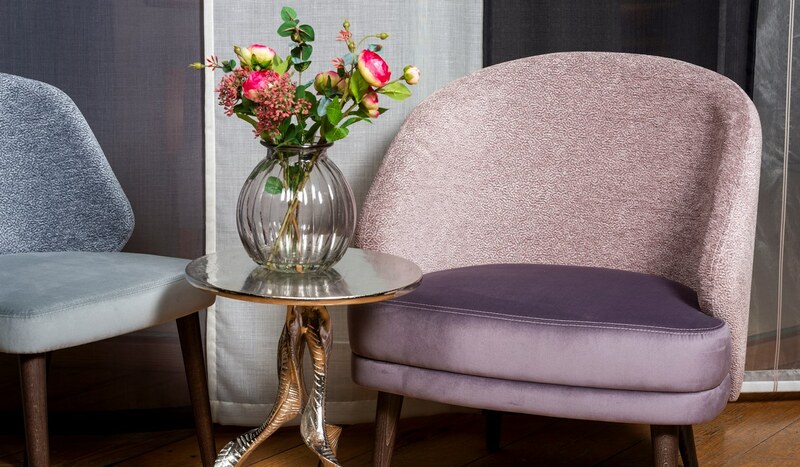 Providing a sophisticated burst of colour to contract interiors, Bonita FR velvets by Skopos are being launched this autumn to provide a simple matt, cotton-look velvet option for contract furniture. The collection consists of 24 skus, ranging from muted tones to bright jewel colours, in a luxurious velvet, crib five backed to meet the strict FR standards for European contract requirements. This collection meets the requirements for hospitality and leisure interiors and with a waterproof layer as standard, is also a great option for care interiors, where durability is top priority. The collection achieves 40,000 martindale rubs, meeting the needs for severe contract fabrics. Skopos is an ISO9001 accredited company and has over 45 years’ specialist experience in the design and manufacture of high-performance FR contract fabrics for the hospitality, cruise, care and leisure sectors. Whether it’s a new build or a bathroom renovation project, the demand for luxurious, ergonomic and modern spa bathrooms continues to increase. Therefore, contemporary solutions not only provide comfort and excellent performance that lasts for decades, but in many cases a visual enhancement too. With the introduction of GROHE’s brand new extra-low profile shower trays, design accents that ultimately increase the value of a property can now be specified and implemented in the home. In particular, a bathroom free from substantial edges and steps makes for a timeless and accessible design. With its unique and high-quality shower trays, GROHE, the world’s leading supplier of sanitary fittings, is setting new standards, creating the ideal combination of form and functionality in the modern bathroom. GROHE shower trays are designed to be a PerfectMatch: they not only match with any of the three sanitaryware design lines – GROHE Bau, GROHE Euro and GROHE Cube – but can also be optimally combined with other GROHE bathroom accessories too. 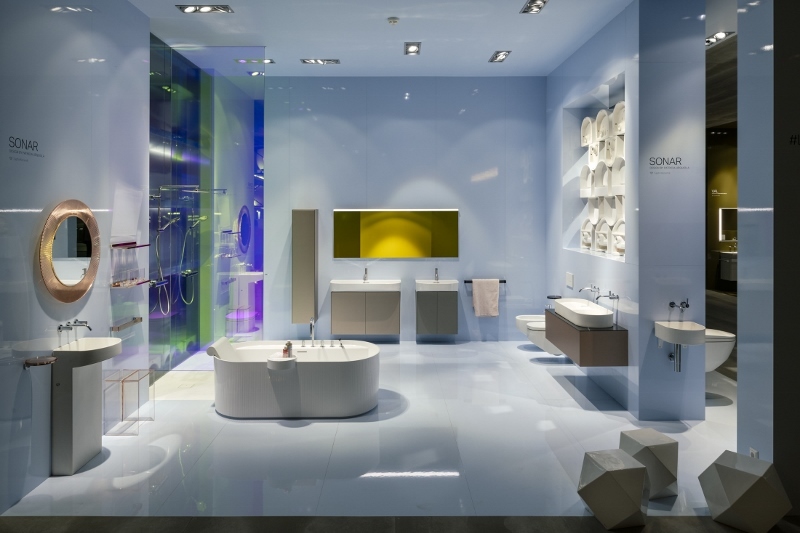 Specialist retailers can benefit from GROHE’s versatility as a full-service supplier, with its complete bathroom solutions making it simple to implement individual customer wishes in a unique GROHE design from a single source, drawing on LIXIL’s decades of know-how in this category. The high-quality GROHE shower trays are particularly low profile and, with their depth of only three centimetres, are a design object of every bathroom. This makes the installation particularly sustainable, as accessibility is guaranteed for all users and therefore future-proofed for years to come. The choice of rectangular or square models work to adapt seamlessly to all designs and with sizes from 80 x 80cm up to 90 x 140cm, a selection of seven different dimensions ensures there is a model suitable for every bathroom space. All the shower tray models are made of high-quality sanitary acrylic in an Alpine White finish which feels pleasantly warm even at the first touch. The tray’s solid, full-surface base provides stability and longevity whilst the non-porous and smooth surface ensures increased slip resistance during showering. GROHE are one of our recommended suppliers. To keep up to date with their news, click here. And, if you are interested in becoming one of our recommended suppliers, click here. Bisque, the UK’s first ever luxury radiator brand, has unveiled two new distinctive finishes for spring 2018, Rustique and Rose Copper. Both styles are produced using an oxidation technique, creating a truly authentic finish. These bespoke designs are made to order and are available exclusively on Bisque’s Classic collection of radiators and from its newly opened showroom in Islington. The organic Rustique finish is not simply a paint effect but is created by spraying iron metal over a base coat. This is followed by a water-based solution, which produces a rust patina, making the result individual every time – similar to the brand’s much loved Arteplano. The Classic is primed, coated and lacquered throughout the process to ensure you achieve an authentic ‘rust’ finish of paramount quality. Next up is the Rose Copper finish, which contains genuine copper and is finished with a matt lacquer, to prevent further tarnishing. This ultimately maintains its gorgeous rose colour and beautiful glow. The Classic is by far Bisque’s most popular design and today offers a variety of models in various and sizes and styles. In addition to thirty-eight stock sizes, Bisque also offers a vast range of bespoke size options and can colour match to popular paint ranges such as Farrow & Ball and Little Greene. Bisque are one of our recommended suppliers. To keep up to date with their news, click here. And, if you are interested in becoming one of our recommended suppliers, click here.